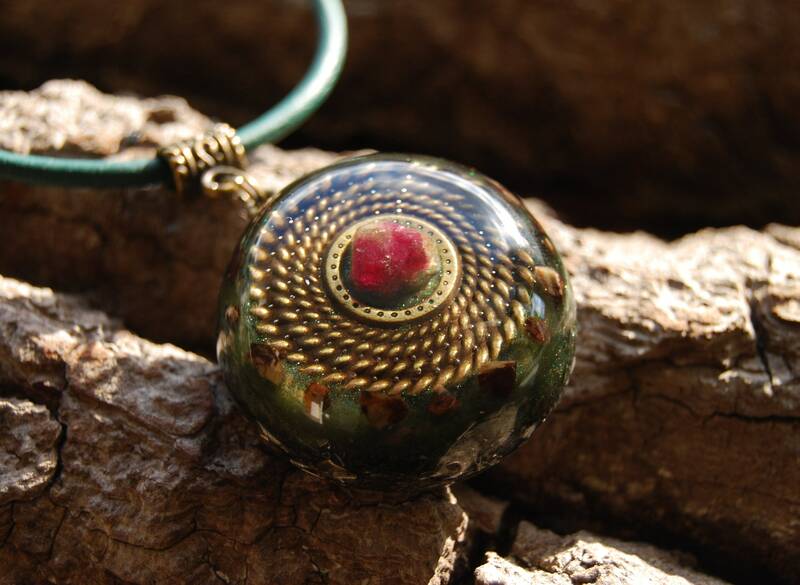 Orgonite® Pendant Ruby and Sphalerite Unisex Activating Motivating Unique Powerful - FREE SHiPPinG ! 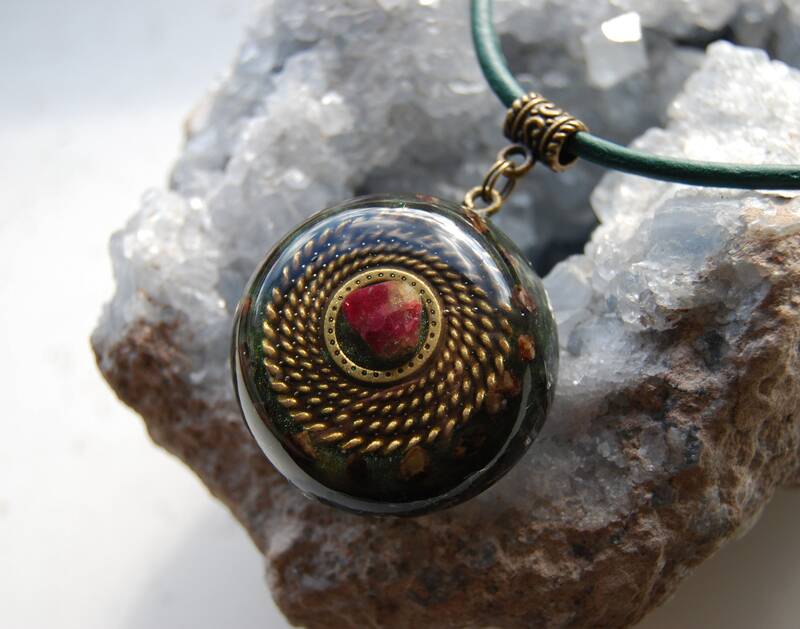 The main stones in this 4 cm / 1.6" in diameter Orgonite® pendant are genuine raw Ruby in the front middle and many tiny raw Sphalerite surrounding the circles in the fronts. 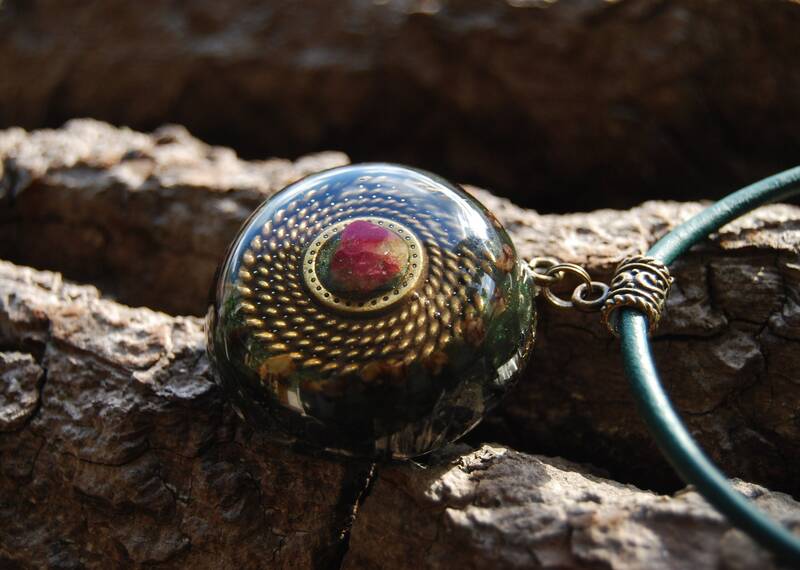 The pendant is a unique one and made with a lots of different (aluminium, bronze, copper, brass) metal shavings which is required to properly clean stagnant energy according to Wilhelm Reich's research. 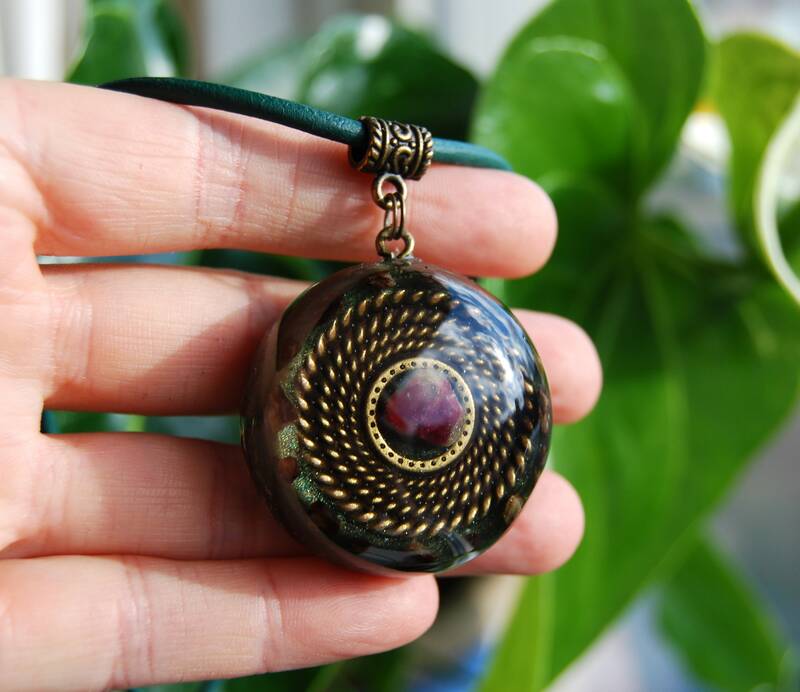 Wear or carry Ruby to overcome exhaustion and lethargy. 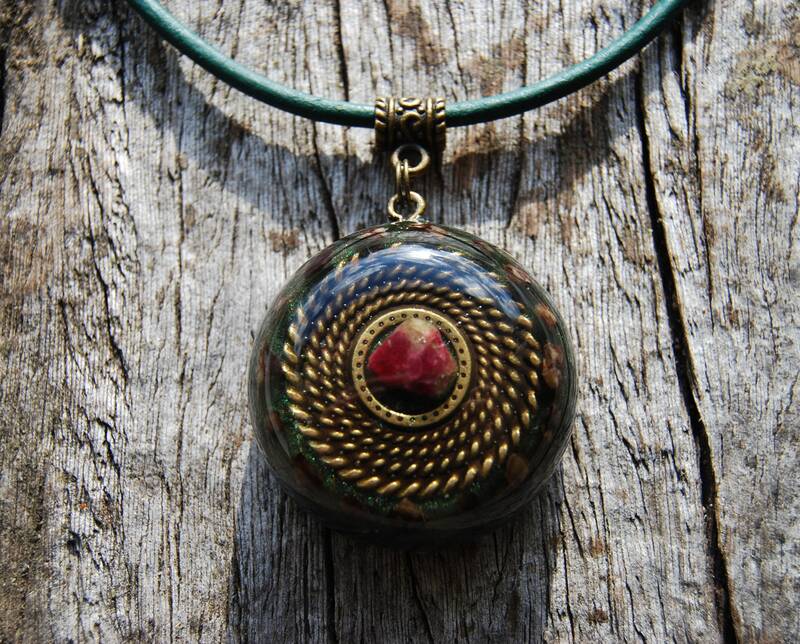 It stimulates circulation and amplifies energy and vitality to the whole system. Ruby has been known to calm hyperactivity in some individuals. Ruby is an aphrodisiac, allowing one to experience all forms of love, from wild sensuality to mystical communion. It deepens a couple’s relationship and encourages closeness and commitment. 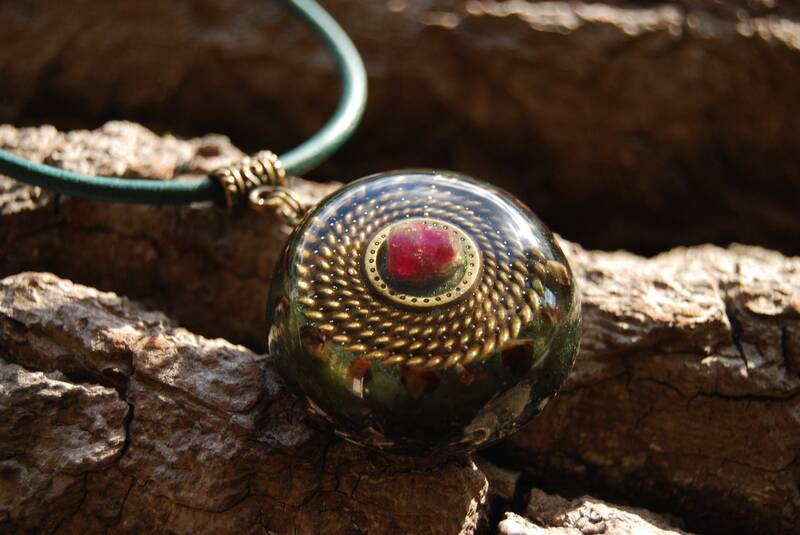 Ruby helps reduce fear of the paranormal and evil. It banishes nightmares, and guards against psychic and psychological attack. It is a shielding crystal, protecting the home from fire and intruders, and is good to wear discreetly to stay safe at night. Sphalerite is an exceptional stone, with a number of impressive properties. One of its most powerful attributes is its action to help to prevent nervous exhaustion and fatigue. If you have recently meditated with high vibration stones and feel odd or dizzy, this crystal will both ground you and energize you. Severe tiredness can be a common result of using very stimulating crystals for a longer period than your body can take. After using high crystal energy stones, this crystal is highly beneficial to use to aid grounding, as it will help you if you feel any of the symptoms of being ungrounded. This interesting crystal also helps to harmonize the male and female aspects of the personality, and will also assist with stimulating your creativity. This crystal has a quite strong action within all of the chakras that are below the heart. 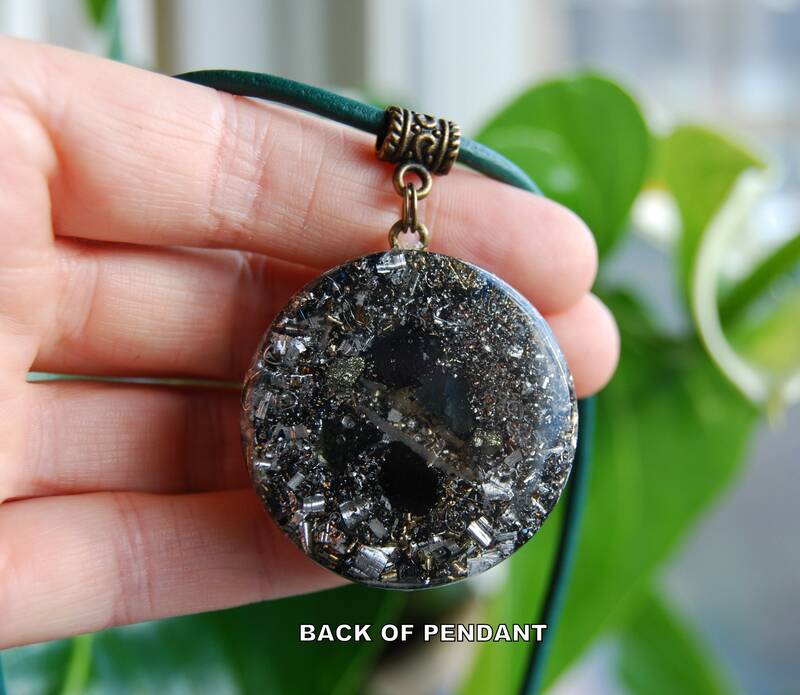 It is a good healing stone on many levels, but it is the role of Sphalerite to ground your nervous system that is its most beneficial characteristic. 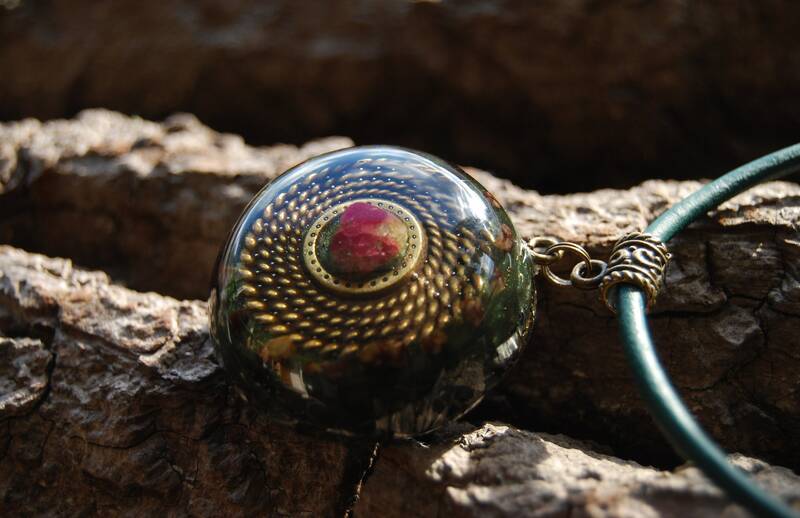 This stone is particularly helpful when you travel to the higher realms, and you have a different experience, that you find challenging to work out what it meant. The highs you may experience when visiting the spiritual realms can cause many people to see things that are really more of a dream rather than reality. Sphalerite can help you to differentiate, to discern between dreams and reality, and to decide if its simply what you wished had happened. It has been hand sanded through 11 sets of fine polishing paper so it is shiney and silky smooth. Because it is a one of a kind hand-crafted one, it may have slight artistic imperfections. It comes on an adjustable (up to 25 inches / 64 cm) strong leather cord.